Hosta (Hosta spp. ): growing, planting, caring. A perfect garden subject for shade. Scientific name : Hosta spp. Hosta (or Funkia) is a genus of plants in the family Asparagaceae native to northeast Asia, and widely cultivated as shade-tolerant foliage plants. They are herbaceous perennial plants, growing from rhizomes or stolons with broad lanceolate or ovate leaves. Leaves in wild species are typically green, and natural mutations of native species are known with yellow-green leaves or with leaf variegation, either white/cream or yellowish edges or centers. 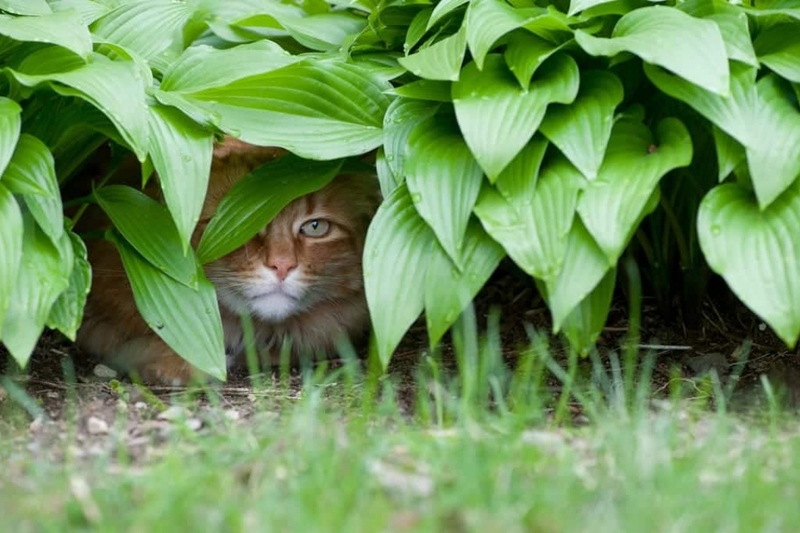 Hostas fear situations that are too hot or too sunny. Plant preferably in spring, in pot or in open soil. Keep a distance of about 30/40 cm between each plant. Bring a fertilizer such as manure and algae and mix it with potting soil. The hosta is a shade or semi-shade plant that prefers cool soils but dreads excess moisture. So avoid heavy watering. Prefer a regular but limited watering. In pots, a more regular watering in the summer is necessary to keep the soil slightly moist. The multiplication of hostas is done by dividing the tuft in the spring or in September, every 3 to 5 years. Place your spade in the middle of the tuft that you want to divide, and slice frankly and accurately at the desired location. For smaller, more fragile perennials, the use of a smaller tool is recommended. Leave the original plant in the same place, and refill the resulting hole with a mixture of potting soil and garden soil. Remove the new plant, separate the roots from the original plant by tearing gently . Plant it in a shady spot in a mix of potting soil and garden soil. Hostas dread excessive moisture: if you mulch your plants, make sure that the layer remains air permeable. Mulching these perennials will save you from watering and weeding and will even fertilize the soil a bit as it decomposes. When choosing, know that dry wood chips are the most inert, but they will last for a longer time. Fresh wood chips and leaves enrich the soil but must be changed often. Grass cuttings are to be used mixed with something else in a layer that is at most 1 cm thick. Mulch with a thickness of at least 5 cm to provide a good level of efficiency.